The Demonstration Gardens is located on the Beauregard Parish Fairgrounds property in DeRidder and maintained by the Beauregard Parish Master Gardeners. These sustainable gardens demonstrate what the homeowner in Beauregard Parish can do on his/her own property with minimal effort and a high probability of success, considering local climate, soil, and pests. The Master Gardeners grow vegetables and other plants; maintain the gardens and provide tours of the gardens. They also have special events for groups of children in the Children’s’ Garden. Master Gardeners work in the gardens on a regular basis, while also having special “work days” that are planned to address specific areas. Come watch, and ask questions, or schedule a guided tour of the gardens by contacting any Master Gardener. With permission from the Beauregard Parish Fair Board, the Master Gardeners are using approximately one half acre of land. The area is divided into 14 small gardens or specialized areas, each with a different theme. There are plans to add three additional garden areas in the near future — a Strawberry Garden, Herb Garden and a “Mittleider Gardening” area. Use of IPM (Integrated Pest Management) approach to minimizing environmental impact. 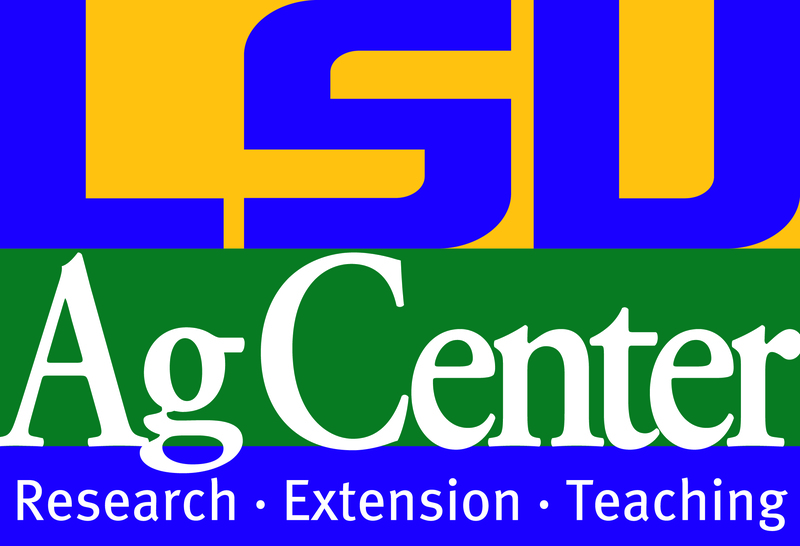 Participation in LSU AgCenter activities and events to broadly contact parish residents, including children. Plant identification signs to identify specific plants and garden areas. Cooperative efforts with the Beauregard Parish Fair Board and grounds. Site visits for garden clubs and other organizations. Continuing education for Master Gardeners through hands-on activities following recommendations of the LSU AgCenter. Eastern bluebird residing at the Demonstration Garden. July 19, 2009 – Local Group Starts Master Gardener Program in Beauregard Parish. August 6, 2009 – Met with Beauregard Parish Fair Board for permission to put a demo garden on the fairgrounds property. Chose site for Demo Garden. Complete Underground Object study. September 2009 Complete Water Supply to Demo Garden, Thanks to Mayor Roberts. Gary Crowe Plowed the first garden. September 2009 – First Garden – Planted Greens Sept 2009. April 2013 – Additional City water hookup and irrigation system installed in garden. April 2013 – Developed a Five-Year Plan to modify and enlarge garden to 10 areas and presented this to the Fair Board. Vegetables from the gardens are often donated to the Council on Aging. Beauregard Master Gardeners will provide an area in Beauregard Parish to demonstrate to others how to grow vegetables, fruit, and ornamental plants for home use, and how to maintain a garden. We will produce healthy, nutritious food as we teach and share with others. We will provide a learning environment where we help each other and enjoy each other’s company to include attractive surroundings that are a safe and comfortable. We will be good stewards of the land that we occupy by improving and repairing as needed. We will work with nature and the soil to provide healthy food and beautiful plants as we learn and teach others about the future of gardening. Puss Caterpillars (Megalopyge opercularis) – Beware! Puss Caterpillars(Megalopyge opercularis) – Beware! “Oh! What a cute little furry bug”, then “Ouch, the SOB stung me worse that a bald faced hornet!” Welcome to the poison spines of the Puss Caterpillar, Italian asp, Spanish perrito, wooly slug, or the numerous unprintable common names given to this caterpillar. Note: all larval developmental stages have hollow spines with base venom glands, but the above last instar delivers the worst stings. For some people this furry southern flannel moth larvae’s sting is serious enough for a medical visit. Beside the painful sting location, additional symptoms like headache, fever, nausea, vomiting, tachycardia, low blood pressure, and seizures may occur. Rarely, convulsions, chest pain, numbness, muscle spasms, and abdominal pain are the results of the protein toxin from the multiple spines along the dorsal side of this caterpillar. If you are a victim, remedies first include removal of the broken spines. No! Do not try to scrape the spines out, as some will inevitably be driven deeper in the skin. Lightly apply Scotch tape or better, clear Gorilla tape to remove the broken spine tips from the skin. Then recommendations include ice packs, oral antihistamines, hydrocortisone creams or baking soda to the sting site. Medical treatment may include systemic corticosteroids and intravenous calcium gluconate. Outbreaks have historically occurred. Even schools have been temporarily closed as cycles peaked. However, most years, varieties of natural predators keep populations of the puss caterpillar in check. Among these are at least two types of ichneumonid wasps, and four species of tachinid flies. Applications of “Bt” to the affected plant’s leaves are effective when populations become noticeable. As one of the most venomous caterpillars of the United States, and as an endemic southern leaf-feeder of oaks, elms, citrus, and roses – encounters with children are common, especially in the Fall. They are not only found on the leaves of trees and bushes. They may be spotted crawling on objects in the vicinity including toys, walls, buckets, etc. Parents should ensure that children are educated about poisonous caterpillars along with spiders, wasps, ants, centipedes, and other stinging critters. Puss Caterpillars resemble a “Persian cat” bug to young children. However after they are stung, parents have to endure at least a week of painful cries from their children. Another invasive bug is spreading though the Southeast US, but this one doesn’t just stay outside. In the fall months, the Kudzu Bug (Megacopta cribraria), begins seeking nice warm places to overwinter – your home. White walls, curtains, and trim are particularly attractive. Typically they come in large numbers where excrement causes brown stains on fabrics and walls. If they land on skin, it may also be stained, plus some people are even blistered. The Kudzu bug could develop into a real problem for us in Louisiana. Therefore report sightings and any infestation to the LSU AgCenter. Not only do these bugs like your house in winter, in the spring your yard and garden are their new habitat where they feast on kudzu, wisteria, beans, and many other legume plants. An ID is made by of the mature adults by its squared off shape, olive green to brown color and its ¼ inch diameter size. The immature bugs are also boxy, but they are also hairy. The light brown and barrel shaped eggs are usually laid in parallel rows. How do you control this midget, boxy stinkbug if they get in your home? First, don’t squish them or spray them as body secretions can stain and release foul odors. Your best bet is to use a wet capable shop vac. Add a few drops of soap in about an inch of water in the bottom of the shop vacuum for a drowning solution. Then use the vacuum at will. Second, seal off the entry point where they entered. Calking, screening, window and door sealing are good energy savers and bug invader preventers. For the yard, common insecticides that are designated for specific plants can be used. The best time for spraying is in the evening before dark with cool temperatures. Most current insecticides degrade with light, moisture, and high temperatures. Bugs on the side of buildings can be sprayed, but limit the sprayed area to that occupied by the invading bugs. If you have an overwhelming problem with kudzu bugs, call a professional exterminator. And again, inform the LSU AgCenter in order to track the degree of this invasion. As of August 2014, several eastern Parishes have confirmed the distribution is progressing in a western direction.